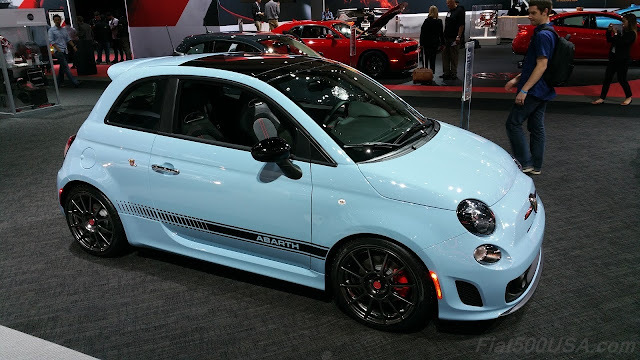 Ever dream about what the Abarth would look like in something other than Grigio, Bianco, Nero or Rosso? Well, your dreams have come true. 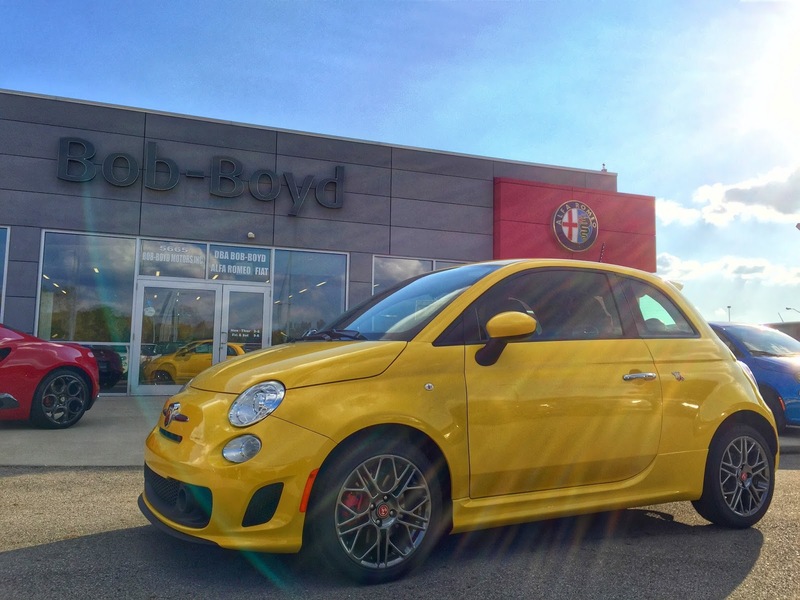 The all new 2016 FIAT 500 Abarth is now available in Giallo Moderna and Celeste Blu! Find yours today only at Bob-Boyd Alfa Romeo FIAT. Bob-Boyd Alfa Romeo FIAT is your Columbus, Ohio Alfa Romeo and FIAT Dealer. Youtube.com/BobBoydAlfaRomeoFIAT to view the 2016 FIAT 500 Abarth in Giallo Moderna. FIAT 500 ABARTH with gloss white 17's. 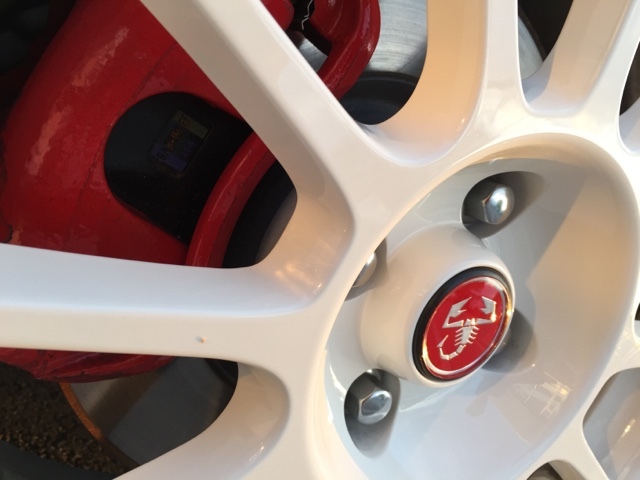 2015 FIAT 500 ABARTH in Bianco with the 17 inch Forge Aluminum Gloss White wheels and 3 season low profile tires. Add the Rosso stripe and mirror cap and this might be the sexiest ABARTH you've seen. 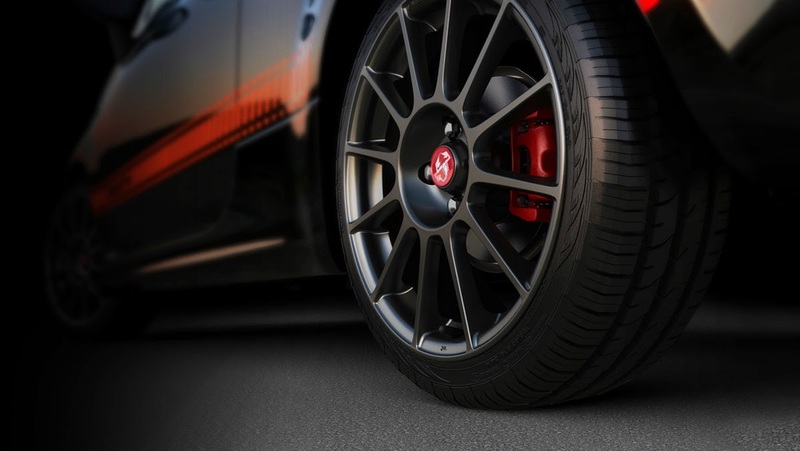 How would you equip your ABARTH? Turbocharged cars need their fair share of fresh air, and the 1.4L 16V MultiAir® Turbocharged engine gets it. 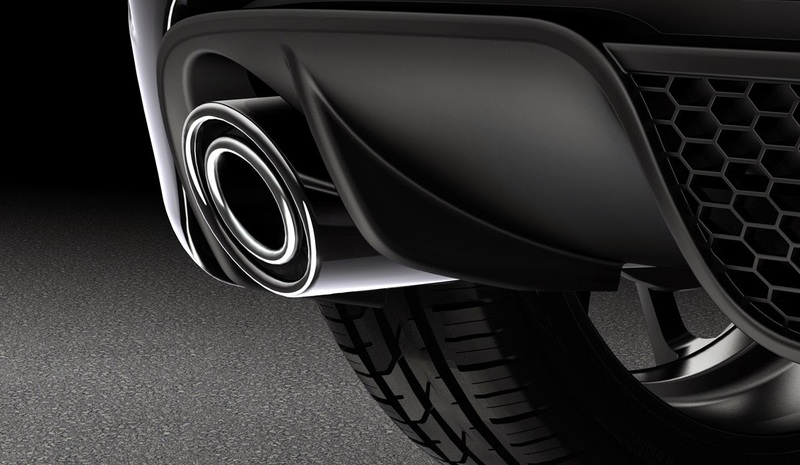 Twin “nostrils” are precisely positioned on both sides of the front fascia to maximize airflow in and out of the two intercoolers, helping to provide maximum performance. In addition to drawing-in fresh air to the engine, Abarth also draws-in a larger audience with the available AISIN® 6-speed automatic transmission. The transmission goes the extra mile toward your sales numbers, ensuring that the Abarth market is now open to drivers who only wish to drive a vehicle with an automatic transmission. 1.4L 16V MultiAir® Turbocharged engine features twin intercoolers that create cooler, higher density air for more power. 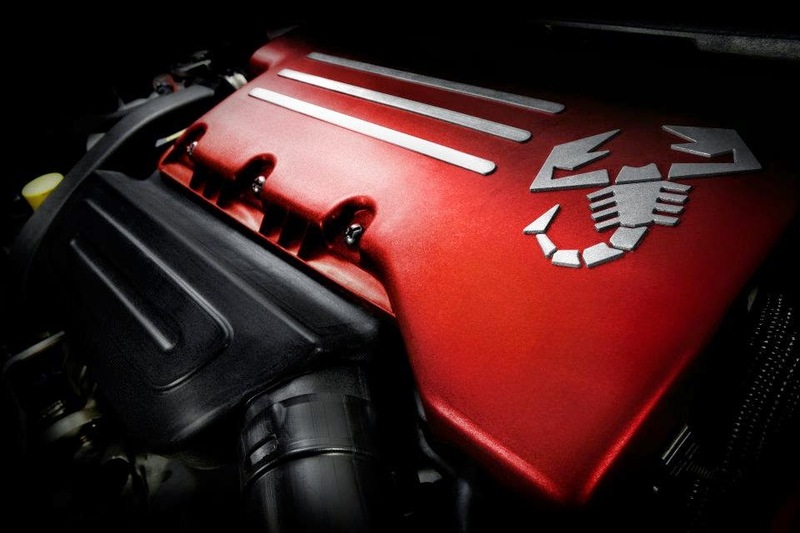 An Abarth-designed intake system with high-flow air filter, air box and smooth-flowing plumbing also result in maximum power and low induction noise, while a forged-steel crankshaft with lightened counterweights produces high-engine rpm operation. Built to handle the additional horsepower and torque from the 1.4L 16V MultiAir® Turbocharged engine, the heavy-duty C510 5-speed performance manual transmission with 3.35 final-drive ratio delivers quick acceleration and faster top speed while maintaining fuel efficiency. 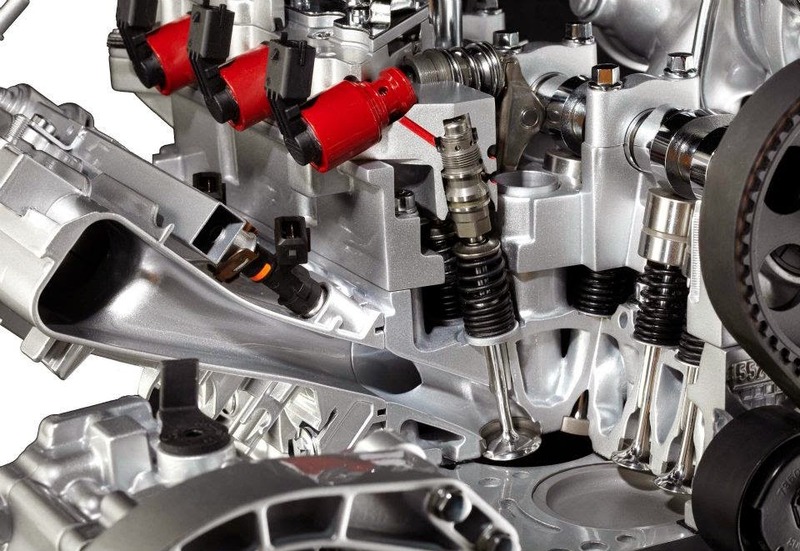 The system features large half-shafts, increasing strength and reducing torsional driveline stress, plus large constant velocity (CV) joints that add durability and refinement. The available heavy-duty AISIN® six-speed automatic transmission on FIAT® 500 Abarth Cabrio supports Abarth’s turbocharged engine with reinforced with added clutch plates and a more robust heat treatment to allow for higher torque capacity. 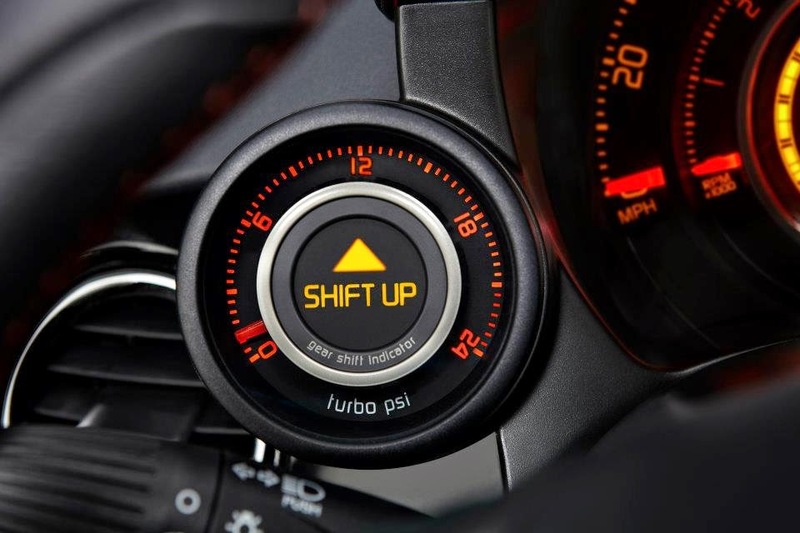 The Sport button elevates the steering response and engine and shift response for a feeling of quickness, stability and control for an even more engaged driving experience. In Sport Mode, the vehicle automatically adjusts the degree of differential locking, depending on dynamic factors including vehicle speed. 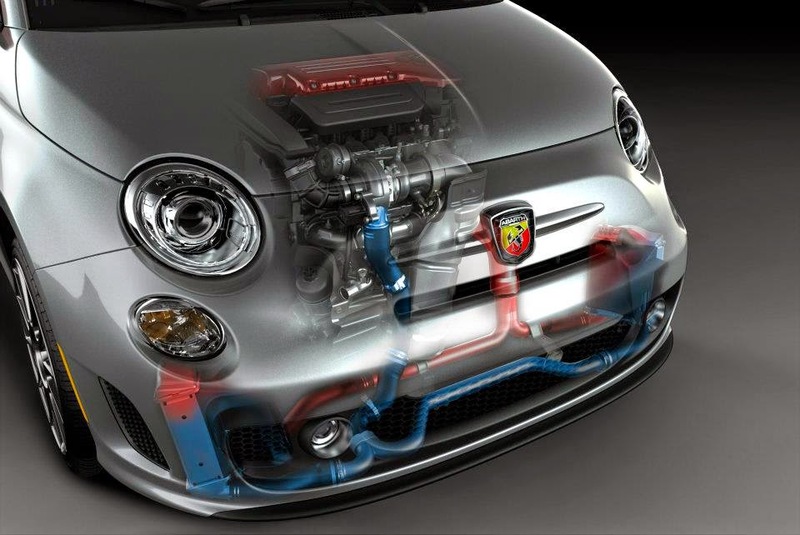 Abarth-tuned Powertrain Control Module (PCM) provides specific engine calibrations to maximize horsepower and torque in Sport mode, helping Abarth unleash the full power of the 1.4L 16V MultiAir Turbocharged engine. So drivers have a clear understanding of what’s going on, the analog turbo-boost gauge with integrated LED shift light in the center illuminates to optimize gear changes. A turbocharger is essentially an air pump that forces more air and fuel into the cylinders and increases the engine power output. It can also be referred to as a forced induction system. 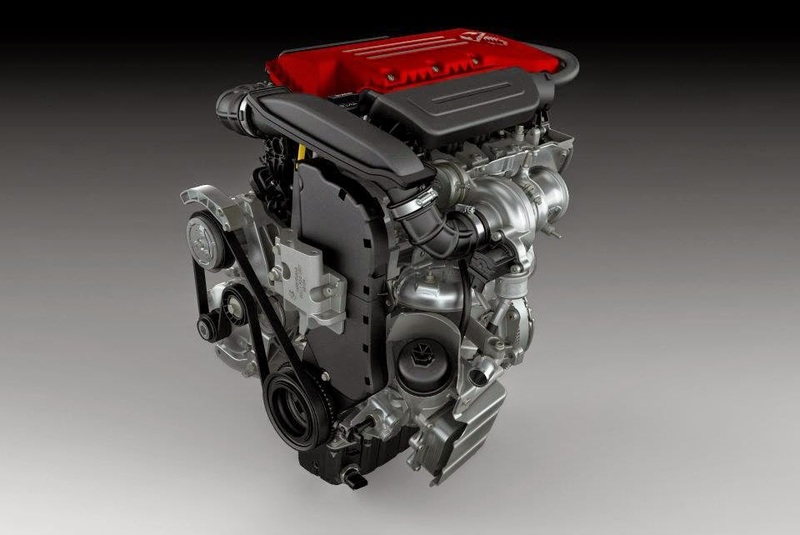 Its purpose is to help smaller engines deliver power comparable to larger engines. All of these components use the energy that would normally be lost through the tailpipe to pump cool, pressurized air into the engine. This results in a more powerful, cooler-running engine. 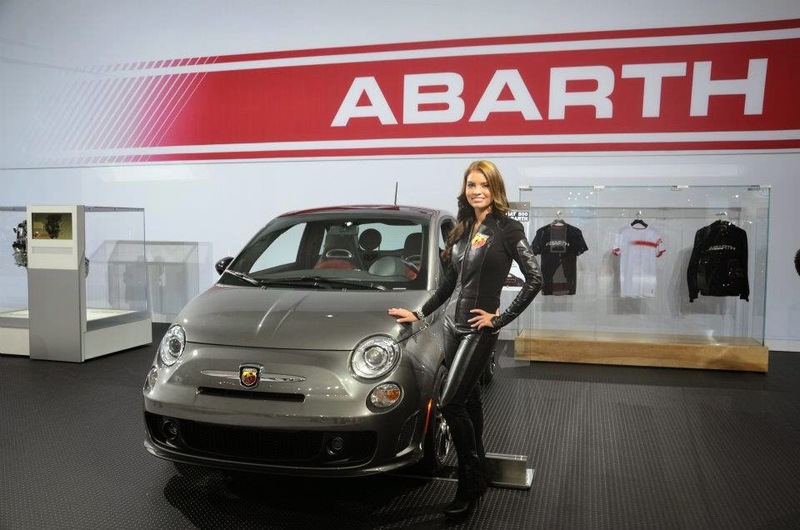 For more information about your FIAT 500 ABARTH, give us a call. We're here to help. To learn More about your FIAT 500 ABARTH, Schedule a test drive or just talk with people who share your enjoyment of ABARTH, give us a call. We're here to help. 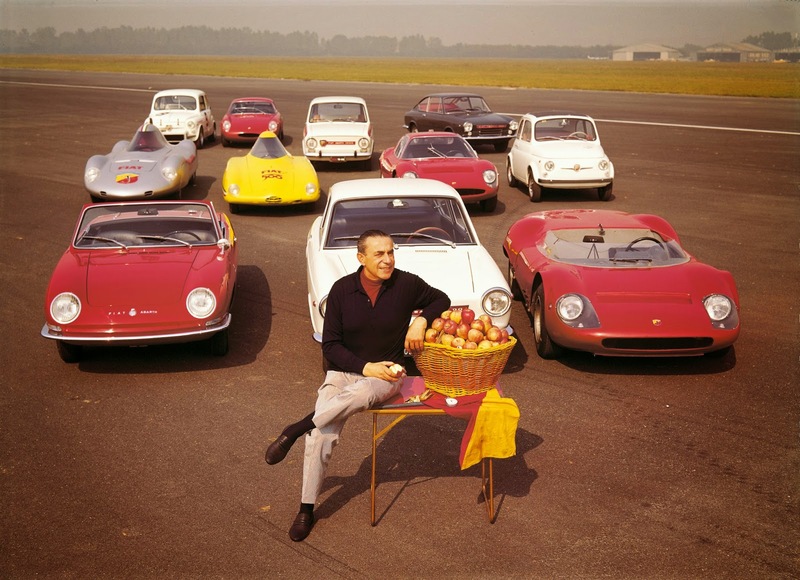 Karl (or Carlo) Abarth, the founder of Abarth, was a man with two missions: Go faster than yesterday and win more. 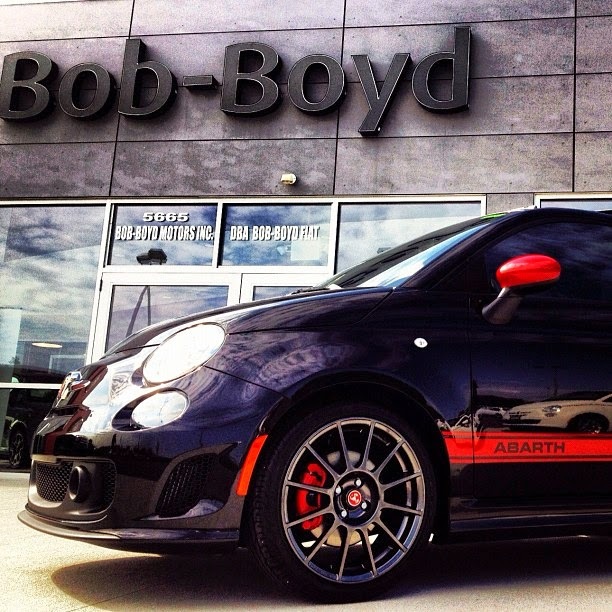 His mission embodies the performance spirit of the FIAT 500 Abarth. Every last bit of the FIAT 500 Abarth drives desire. The 1.4L 16V MultiAir® turbo four-cylinder engine is fed by twin intercoolers to produce 160 hp and 170 lb-ft of torque for adrenaline-pumping performance. 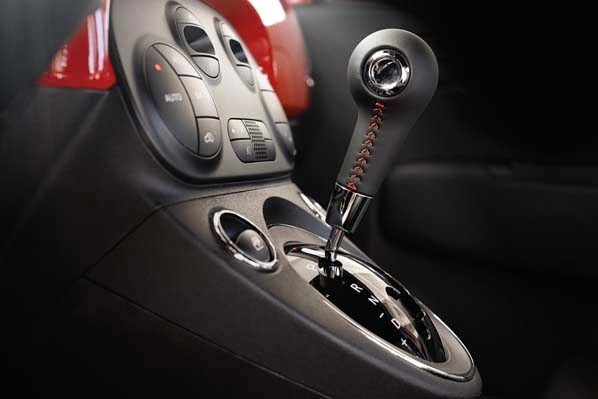 And, so that drivers who enjoy a manual or automatic transmission can enjoy the Abarth experience, the engine can be mated to the standard heavy-duty five-speed manual transmission or the available heavy-duty six-speed automatic transmission. This small but wicked wonder is as committed to performance as it is occupant safety. The FIAT Abarth 500 offers over 35 advanced standard and available safety and security features. Seven air bags,1 steel cage crumple zones and standard three-mode Electronic Stability Control2 all work together to help protect vehicle occupants while a full shut-off mode on the ESC system leaves room for complete, unleased performance. 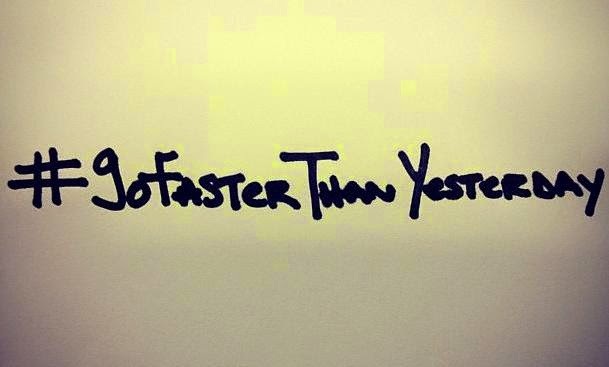 To learn more about the FIAT 500 ABARTH and why you should #GoFasterThanYesterday give us a call. We're here to help. Whether you call it the “Ah-barTH” or “Ah-barT” you’re right; the Italians would have us say the latter, but we care less about how you say it and more about how you drive it! The FIAT 500 Abarth is what happens when you tell performance enthusiasts to take a small, capable package and make it more capable. With the same 1.4L Multiair engine found in the non-Abarths, but also found with a Honeywell turbocharger on it, this Abarth produces 160hp and 170lb.ft. of torque that screams out the open exhaust. The Abarth’s sport bucket seats have been designed specifically with racing in mind, including the center pass-through for racing seat belts if you ever decide to get them. 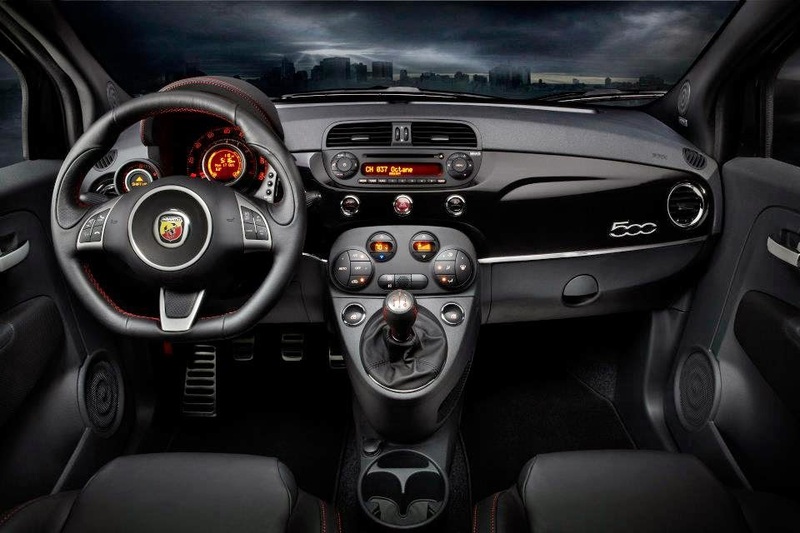 Each Abarth not only has plenty of the features you’re accustomed to in the Sport model, like standard fog lights, FIAT Alpine audio system, and 7” TFT display, but it also includes a few more goodies like the heavy-duty transmissions; either a 5-speed manual or all-new for 2015 6-speed automatic. 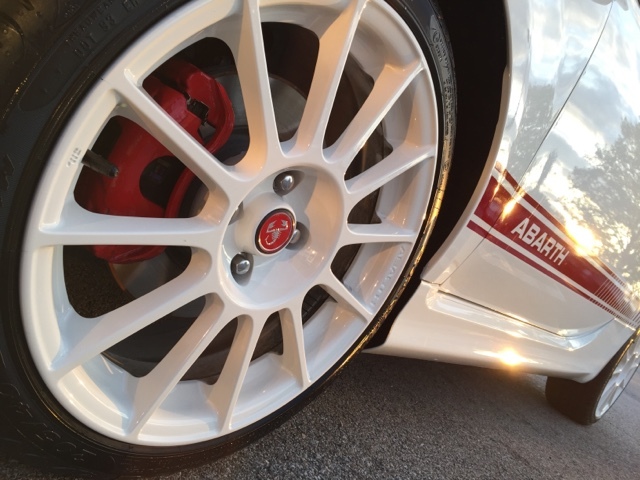 Every new Abarth comes with the Abarth Experience, a one day track-focused driving school that takes place a few weekends per year across the country. Give us a call or email us so we can set up a time for you to visit us and learn even more about this small but wicked monster.